The S4 is Audi's Compact Sport Sedan featuring a 7-Speed Dual Clutch Automatic Transmission and a 3.0L Supercharged V6 producing 333HP and 325lb-ft of Torque which is sent to Audi's Legendary Quattro All-Wheel Drive System. This S4 is finished in Ibis White on Black/Magma Red Silk Nappa Leather Interior. 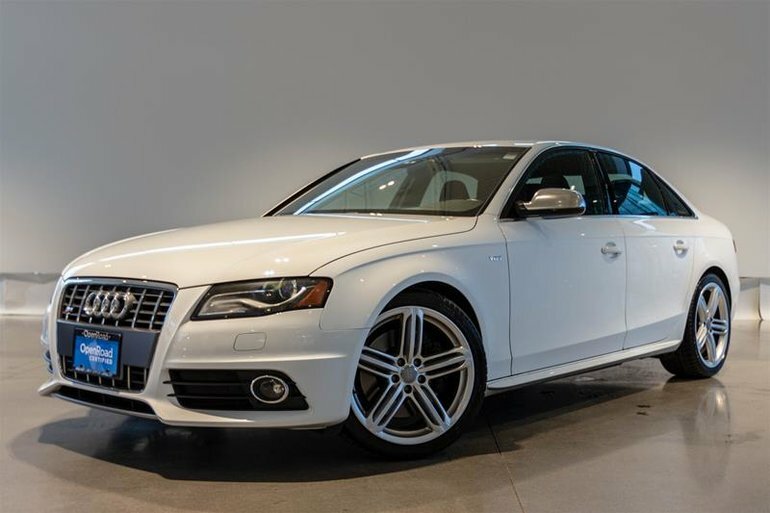 Standard features on this S4 include 3-Zone Climate Control, 12-Way Power Adjustable Heated Front Sport Seats, 3 Spoke Leather Steering Wheel with Paddle Shifters and more. Our paticular unit is the Prestige Model and includes the Style Package and Convenience Package which includes features like Bluetooth Wireless Technology for Mobile Devices, Xenon Plus Headlights with LED Running Lights, LED Taillights and Aluminum Window Trim. This S4 Also includes Audi MMI Navigation Plus, 19' Alloy Wheels, and Voice Control. Visit Jaguar Land Rover Langley to Book a Test Drive Today! Financing available, Trade-ins Welcome. Interested in the 2012 Audi S4 3.0T S tronic qtro ?